We regularly release updates to improve metric accuracy, add new features, or fix bugs. Keeping your units up to date will ensure you have the best experience both in water and with the metrics review in TritonWear Insights. Your Triton Connect and Triton Units will ship with the latest firmware version installed. When we release updated firmware, we'll notify you via email so you can keep your devices up-to-date. 1. To update the firmware on your devices:You will need the TritonWear Update applicated installed on your computer, which you will download and install for either Windows or Mac, whichever operating system you use. 2. Install TritonWear Update on your Mac or PC (a restart of your computer may be required), then open the application. 3. Enter your login details on the opening screen (the same information you use to log in to TritonWear Live and TritonWear Insights). Once logged in, you'll see a list of your purchased Triton units and Triton Connects. 4. 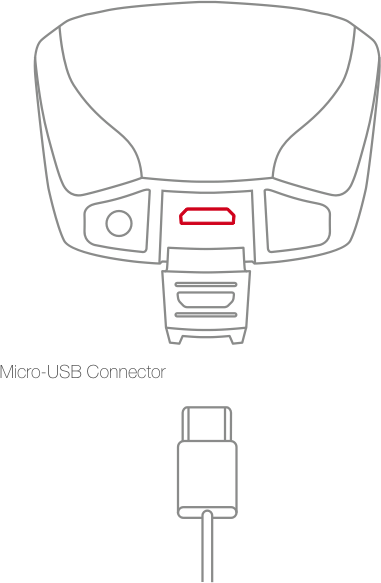 Ensure the device you want to update is completely dry, and plug it into your computer with the provided micro-USB cable. 5. Click the "Scan For Devices" button to allow the program to detect which unit is plugged in. Each detected device will show as connected in the list on TritonWear Update. Click the Upgrade button to install the latest firmware. The update process should only take about 30 seconds per device, but can take up to a couple minutes. Until the lights return to yellow or green (depending on the charge on the device), please DO NOT DISCONNECT the device from the computer. 5. Repeat steps 3 and 4 for each device that needs to be updated. If for any reason you are experience a challenge updating your firmware, check out this article for troubleshooting suggestions.